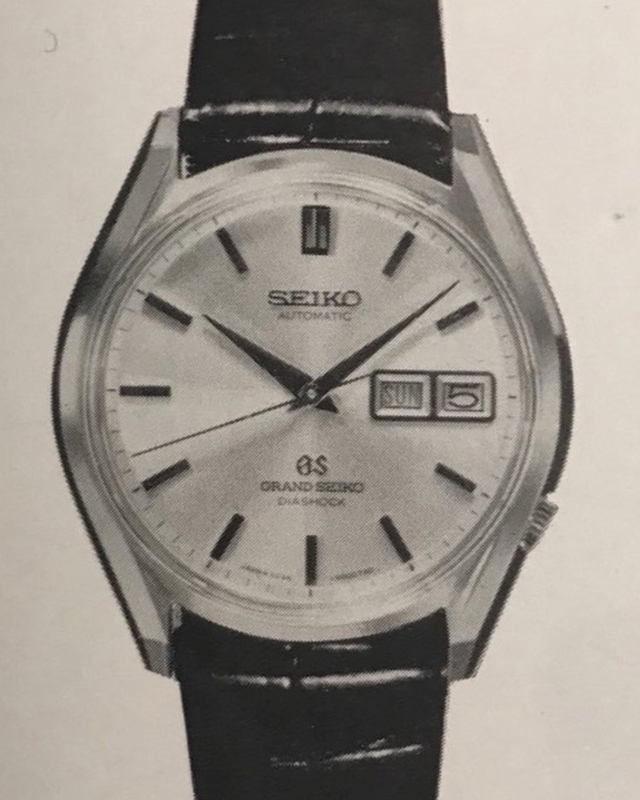 With production starting in 1966 – although the watch was seemingly only introduced to the market in late 1967 – the 62GS series was the first automatic Grand Seiko. Produced by the Suwa Seikosha factory, the watches were actually originally marketed as chronometers under the Seiko brand, but the following the Swiss chronometry association objecting to the marketing of any watch as a chronometer without them having tested and declared it as such, Seiko established their own “Grand Seiko Standard” that exceeded that demanded by the Swiss, and removed the word “Chonometer” from their dials. And so, the 62GS series was born. As with the 44GS series, it is a relatively simple thing to document what exists from this series production. There are just two movements – the 19,800bph 6245a with a date complication, and the 19,800bph 6246A featuring a day-date complication; both movements were utilised in two different cases – stainless steel, and cap gold; and depending on the year of production, came with two different case-backs. This gives a total of eight unique models, as summarised below. Whilst it is possible that there maybe “transitional” pieces out there, perhaps such as a watch featuring a lion medallion case back manufactured in 1967 with a -9000 model number suffix, the author does not recall ever seeing such pieces. Also in common with the 44GS series, production and sales of the 62GS series were short-lived. The steel cased 6245 watches were priced at 35,000 Yen, with an additional 3,000 Yen premium applied were you to want the day-date 6246 version, and a further 6,000 Yen on top of those prices for the cap gold cased variants.